The Temple Niche Charcoal Marble Urn is made from cultured marble material. It is an exquisite urn and even used as urn vault, perfect for home display or burial. A great urn for your loved one. 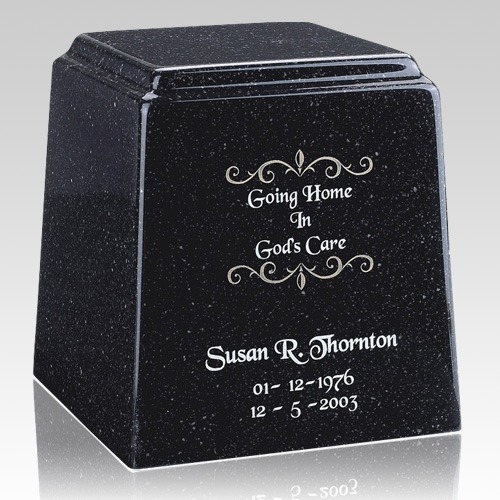 "Very nice products - the website gave a great variety of products for memorials. I was looking for a small urn for my office. I had no idea about all the different types of urns, especially in jewelry. After I searched, your company offered the best prices. I was very pleased to find the jewelry - The instructions were very easy to follow and the product was very well crafted and discrete. I have had many compliments on the piece and no one knows that it is an urn which makes things a lot easier. I have worn it everyday and have not had one problem with the product. I recommended your site to my mother - she then ordered two pendants. Thanks for offering a product that allows me to keep my father with me at all times."